The book's author is Ricki Heller. Years ago Heller was dealing with medical issues that caused her to reexamine her diet. She went on a very strict anti-candida cleanse diet, eliminating dairy, eggs, sweeteners, and gluten. Heller still wanted to enjoy dessert, so she started to develop recipes and came out with her first cookbook, Sweet Freedom: DessertsYou’ll Love Without Wheat, Eggs, Dairy or Refined Sugar. 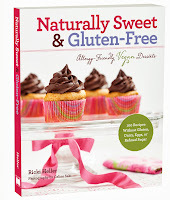 Naturally Sweet and Gluten-Free is her second book. One of the most interesting things I found out was regarding her gluten-free flour mix. Every gluten-free baker has their go-to flour mix(es) that they use over and over. For those unfamiliar with GF baking, you have to have a mixture of at least three different types of flour to achieve the texture, moisture, protein aspects needed for baked goods. In Heller's case, she analyzed the protein content of regular, all-purpose wheat flour and then created a GF blend that matched that protein percentage but reduced the starch content a bit. Getting all the ingredients needed for this type of baking can be a bit expensive, especially at first. There are a lot of items that a regular baker doesn't keep in the pantry. The important thing, though, is that if you need to change your diet for health or philosophical reasons, you are going to deal with these costs anyway. It's an investment in this type of baking. It will take an effort to gather them together, mostly from health food stores. That's where I was able to find such things as the macadamia nut butter and millet. After getting a copy of the book I decided to make two recipes and test them out on my co-workers. First I made the Coconut Mini-Loaves or Cupcakes. I made them using my large cupcake tin and ended up with six cakes. They didn't have much lift, but that could be because my baking soda and powder were too old. I'll need to do another batch to test that. But flavor and texture-wise, they were tasty and moist, although a little grainy. Each time I brought an item into work I asked my co-workers to taste and give me comments before I revealed the nature of the item. The coconut cakes were well received. The texture was definitely denser and grainier than flour, but overall they liked them very much. 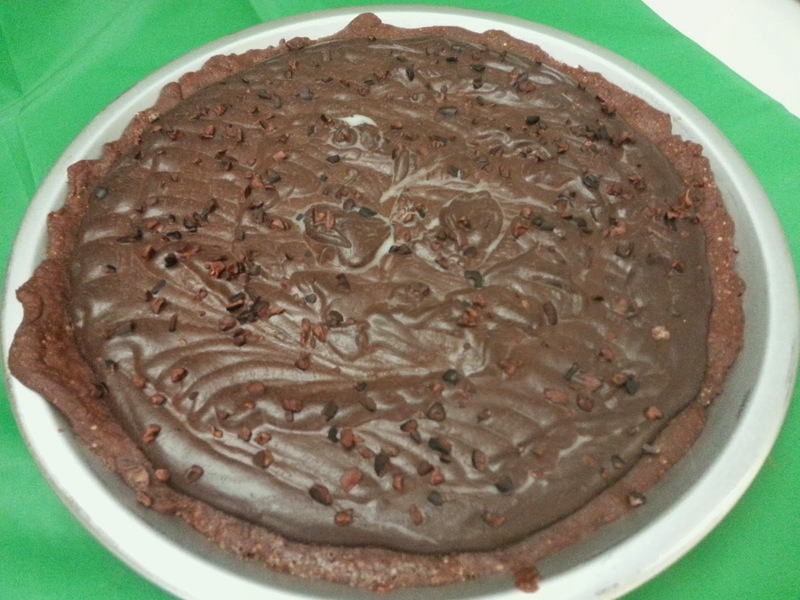 The second recipe was the Chocolate Satin Tart. I'm a bit goofy in that I like chocolate in cakes, cookies, and bars, but I'm not a fan of puddings, ice cream, and soft stuff like that. So I don't normally eat or make chocolate pies. But I was curious with how the soft filling for this pie would come out without using dairy. The only change I made to the recipe was to add cacao nibs on top for a textural crunch. My co-workers and I were surprised at how well this tart came out, with one exception. The chocolate was too bitter because of the use of unsweetened chocolate. I would make this again, but next time use semi-sweet chocolate. As for the filling, it was nice and smooth and set up firm, but not too much so. It's more like a fudgy pie filling than a pudding-like filling. 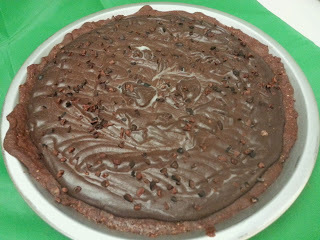 There were many compliments on the crust as people felt that it balanced the sweetness of the pie well. The filling, by the way, is mostly coconut milk and chocolate, yet it set very well. 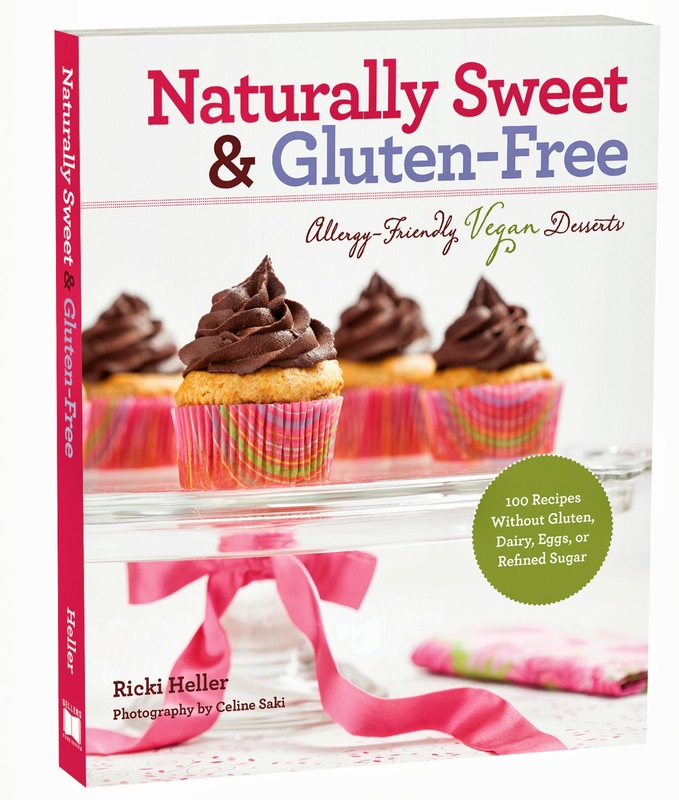 I'm excited to have a copy of this cookbook so that I can delve more into baking with other sweeteners especially. I know I eat too much sugar and so learning more about baking with these alternative sweeteners is of great interest to me. I think that for other people who do have dietary concerns, this is a must-purchase cookbook.